We've created a printable map of our Edible Trail. 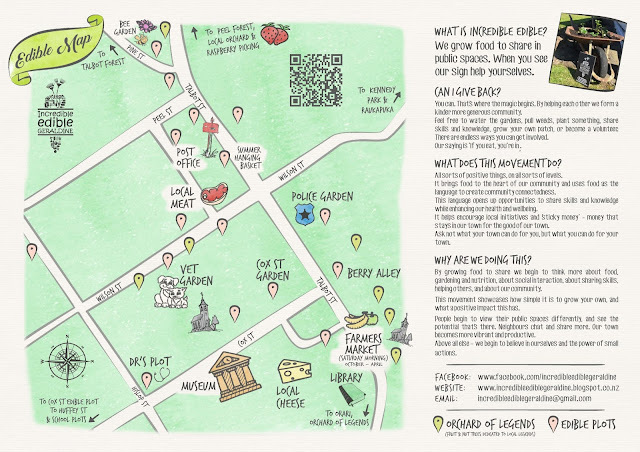 Print our Edible Map (or grab a copy from the local shops), then head out into the fresh air to walk our edible trail. A big thank you to our volunteers for making this happen, and Fredie Dupouy from Copyfast for her great design skills. I have a Wolfe spade for folk with bad backs. Would you like it?